A pair of yoked oxen were hauling a wood laden cart, barely on the outskirts of town, led by a man dressed in Patagonian farmers clothing - wide brimmed hat, red scarf. 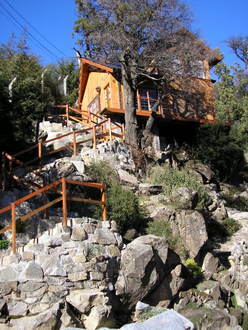 Large vacation homes cling to the mountain side. 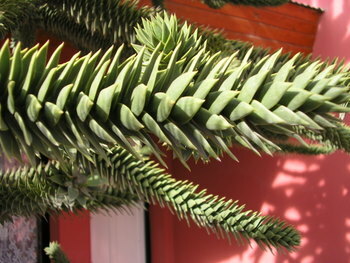 Dozens of hotels, apartment hotels, rental cottages and hosterias are scattered all over town and on Lago Lacar. 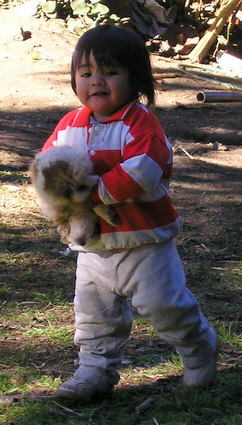 A three-year-old boy carries a 6-week-old puppy, like a stuffed animal, towards me while his proud young papa looks on in the front yard of their mountain top home with a “million dollar” view of Lago Lacar. High end stores, especially women’s clothing, line the avenues. Six manicured plazas dot the town. There’s a lake front restaurant, La Barra, where a first class lunch or dinner, with wine, will cost less than AR$44 per person (US$15.50). 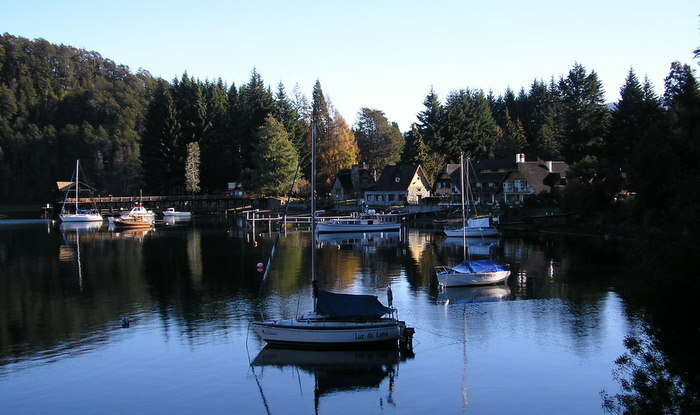 Two national parks are within easy distance of each other. 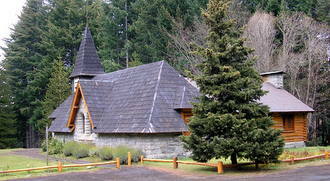 Parque National Lanin surrounds the town and stretches north, and Parque Nacional Nahuel Huapi is south and contains most of the lakes. 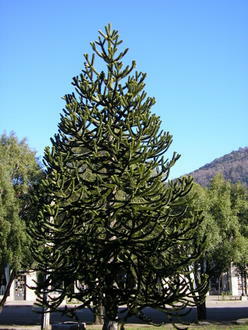 The rare Monkey Tree is native only to this region - a large, slow growing pine with unusually firm, sharp needles. 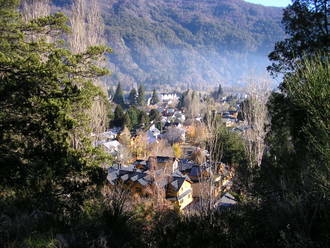 Welcome to San Martin de los Andes, arguably Argentina’s most beautiful town! 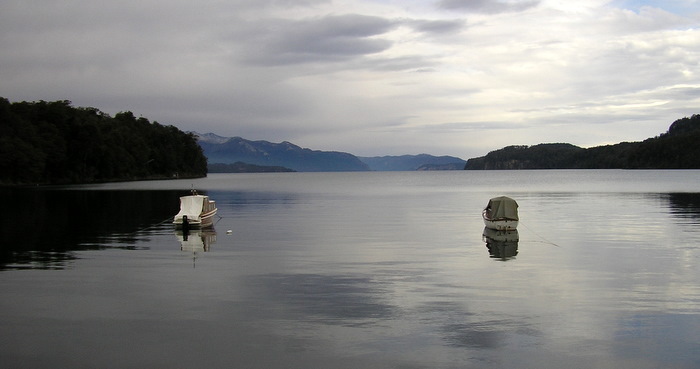 Eighty miles north of Bariloche, San Martin is a relaxed, family/couples resort town catering to those wishing peace and quiet, good restaurants, boating, fishing, hiking, shopping or just chilling-out. 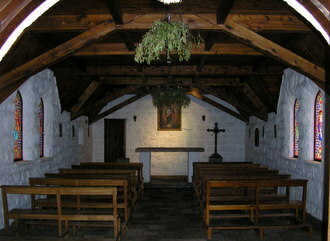 In the winter, a major ski resort, Chapelco, lies just a few miles south of town. In the off-season it’s quiet yet nearly everything is open. There are no museums or casinos, just natural beauty. Besides shopping and eating good local food in San Martin's restaurants, there are two good walks to scenic lookouts (mirador) that take only a few hours. Mirador Arrayan overlooking the town and lake is only a 2-mile walk on a mostly paved road on the west side of town moving away from the lake. Besides providing a birds-eye view of San Martin, you enter Parque Nacional Lenin where you can hike for miles through the mountain forest. 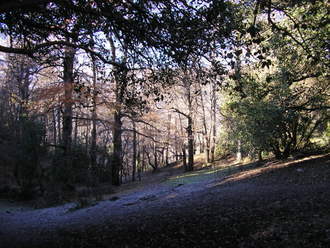 The hike to Mirador Bandurrias, starting on the northeast side of the lake shore, is only a lttle over 2-miles and provides impressive views of Lago Lacar as you walk though a cypress and oak forest. 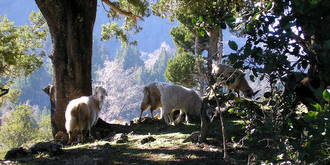 During my walk, I came accross grazing mountain sheep and an isolated wooden home occupied by a young family and puppies. The 3-year-old son proudly walked up to me holding one of the puppies upside down. It was a humble home in a stunning setting! 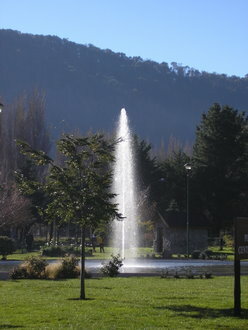 The tourist information office in Plaza San Martin or your accommodation will show you the routes for both of these walks. The office for Parque Nacional Lenin is next to the Plaza in an historic building designed by Alajandro Bustillo. 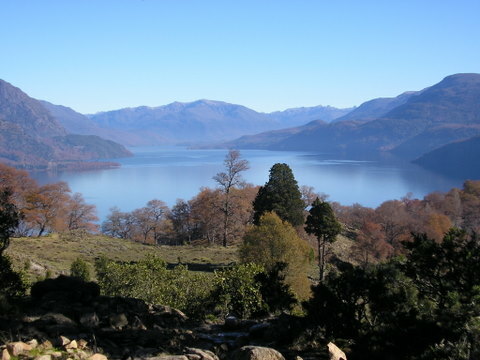 To truly experience the lakes and national parks, especially along scenic Ruta de la Sieta Lagos (Route of the Seven Lakes), it is best to rent a car, even though it is not inexpensive - about US$75 to US$125/day - but if you are traveling as a family it is cheaper than the tour excursions. 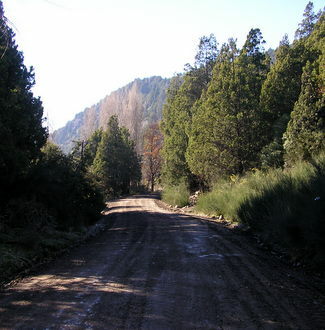 Whether you begin in Bariloche or San Martin, Ruta de la Sieta Lagos, without stops, will take at least five to six hours - it's generally unpaved. It runs through Parque Nacional Nahuel Huapia, and with any decent guide book there is little need for tour excursion services. A private car gives you the freedom to explore on your own schedule because you will want to make stops and stay overnight before returning the next day. Driving in Argentina’s country side is not like driving in its cities - it’s easy and safe. 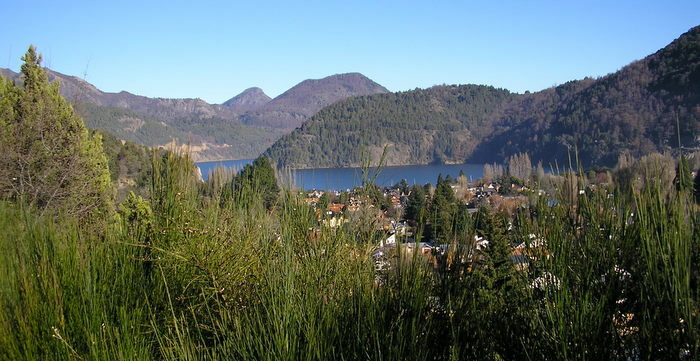 There are some local bus companies that run for part of the drive from either Bariloche or San Martin all year, but only in the summer months do buses drive the entire route. 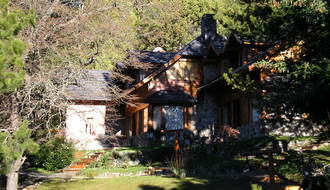 One popular destination, as a base or day trip, is Villa La Angostura, an enclave of summer/winter homes and tony resorts for Argentina's affluent. Buses run daily from San Martin and take about 2-hours. 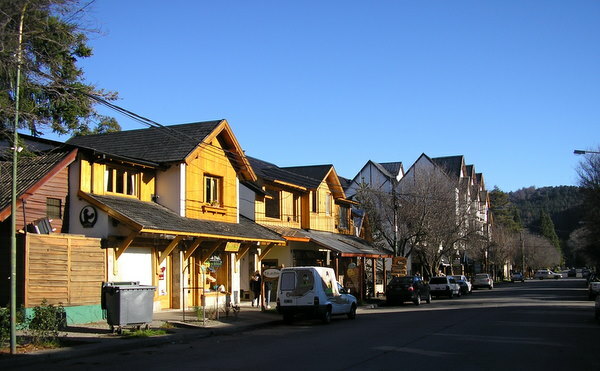 Villa La Angostura has a small commercial area of up-scale shops and restaurants (El Cruce). 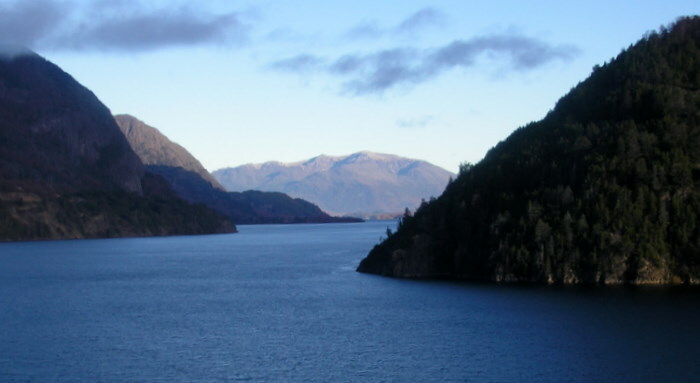 The draw is the position of La Villa on Lago Nahuel Huapi and the encompassing Parque Nacional Los Arrayanes which provides good hiking trails, fly fishing and privacy for homes and resorts. 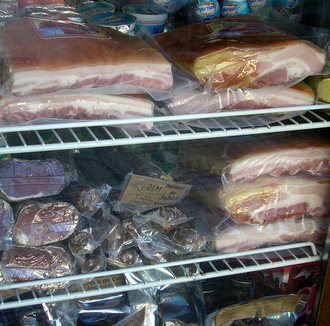 La Villa is a mile-and-a-half walk, or taxi ride, from El Cruce. 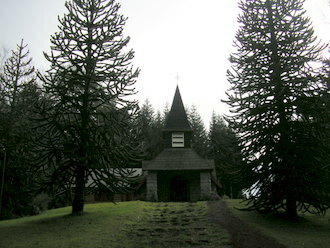 The drive, or walk, to La Villa passes towering pines, isolated upscale houses and the 1936 Alejandro Bustillo designed Capilla Vigin de la Ascuncion. 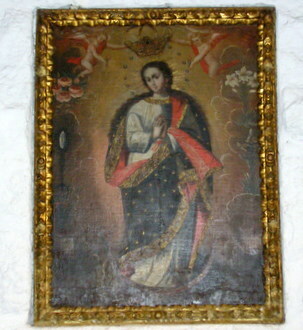 The beautiful chapel is open all day with no guards, even though, for the past 70 years, a valuable 200-year-old-plus painting on wood from the Cuzco school of Spanish colonial art hangs behind the alter. It was a gift in 1940 from a wealthy local family. La Villa is even smaller than El Cruce. 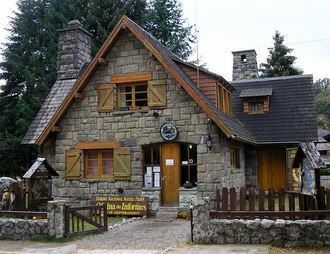 It's the main entrance to Parque Nacional Los Arrayanes with another 1936 Bustillo building, the park office. 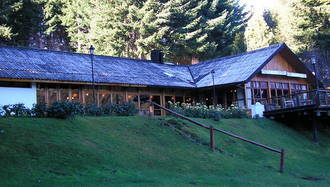 There is a hotel, some homes and a very good restaurant, Del Puerto, on a small hill overlooking the spectacular lake. 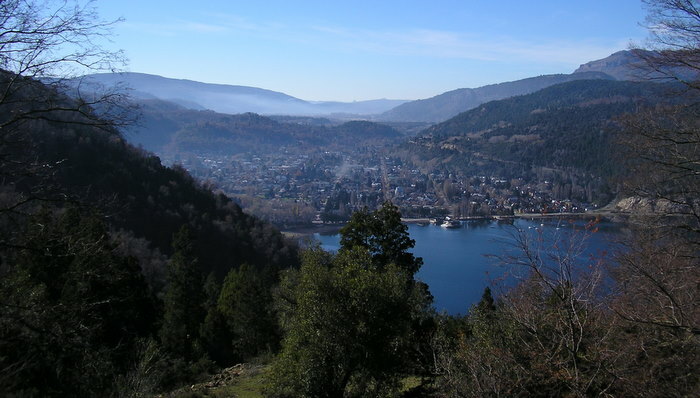 San Martin de los Andes is a well sought after resort for Argentina’s well-to-do, and you can spend a considerable amount of money on first class accommodations (US$100 - $450/double) being well satisfied with the service and facilities. 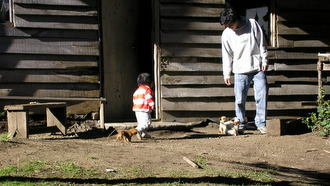 Stays of a week or more in cabin or apartment rentals are a better alternative for a family or group. 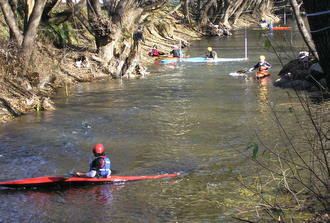 But keep in mind that during summer and winter season make reservations months in advance. 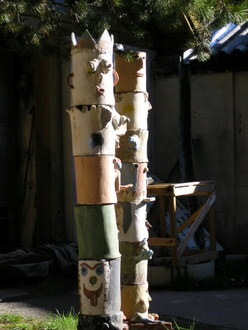 Many web sites list accommodations. 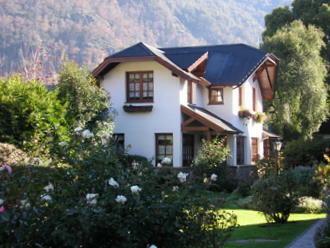 Or you can stay at the new, modern Hostel Ladera Norte for a fraction of those prices. 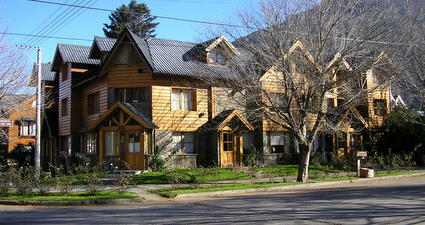 On Calle Carlos Weber, an easy 10 minute walk east of Avenida San Martin, this new, modern hostel was a delight! 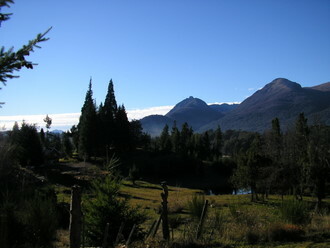 Hostel Ladera Norte is associated with Ho Lo (Hostels Latinoamerica) and not Hosteling International. I have found Ho Lo standards to be equal to HI. The common room was large, comfortable and open to the well equipped kitchen. Free Wi-Fi was available and daily maid service kept the hostel, including the bedrooms, spotless. 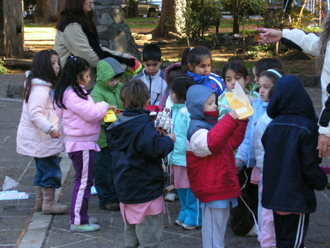 The family that manages the hostel are friendly, helpful and have two delightful, well behaved young children. I had a private room with queen size bed, modern bath and lots of hot water for AR$100 (US$27) - AR$133 (US$35) during the peak summer and winter seasons. Each of the 4-bed bunk rooms had their own bath: AR$51 (US$13.50) per person, slightly more in-season.